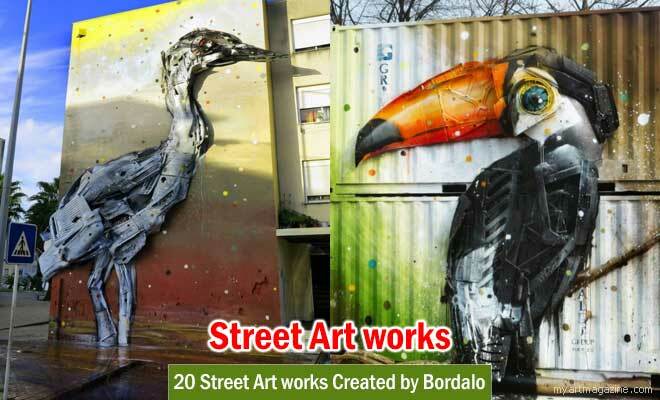 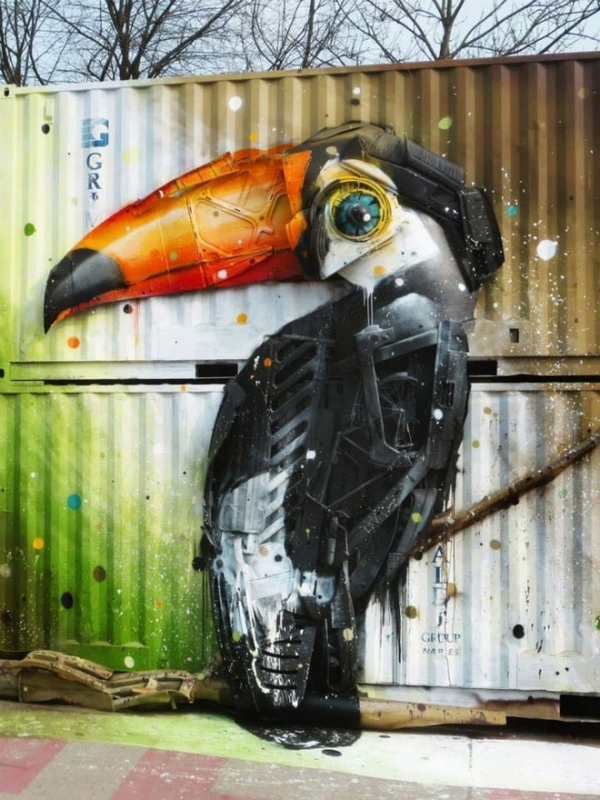 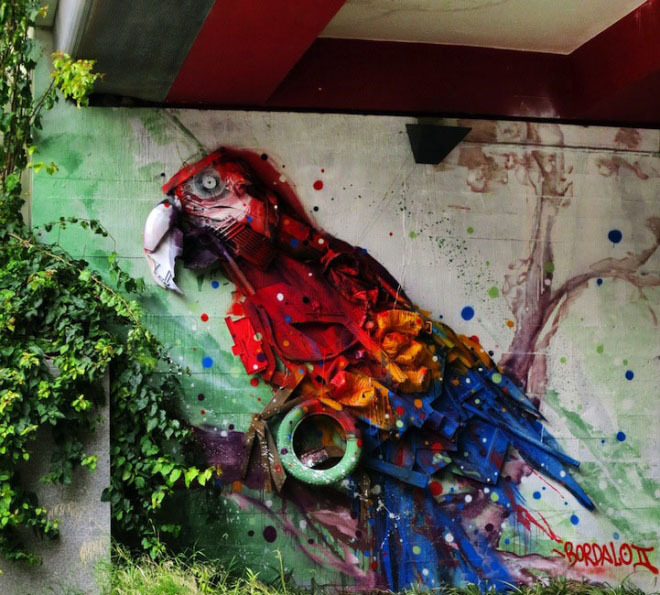 Street Art works by Bordalo: In this post we have added 20 Street Art works Created with Recycled Materials by Bordalo for your inspiration. 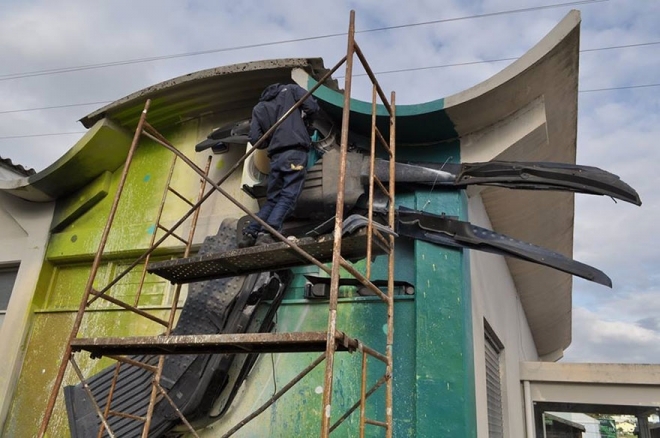 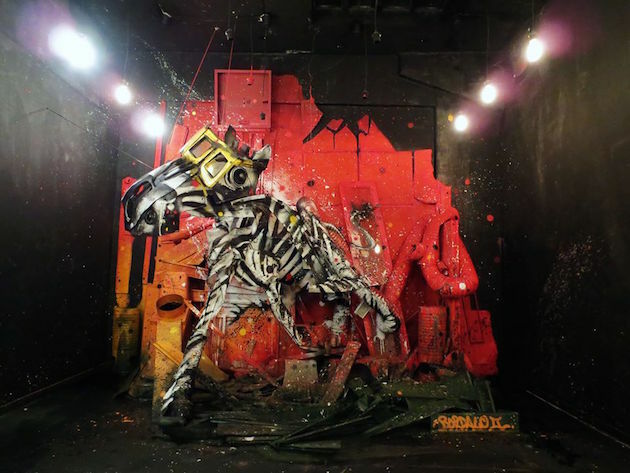 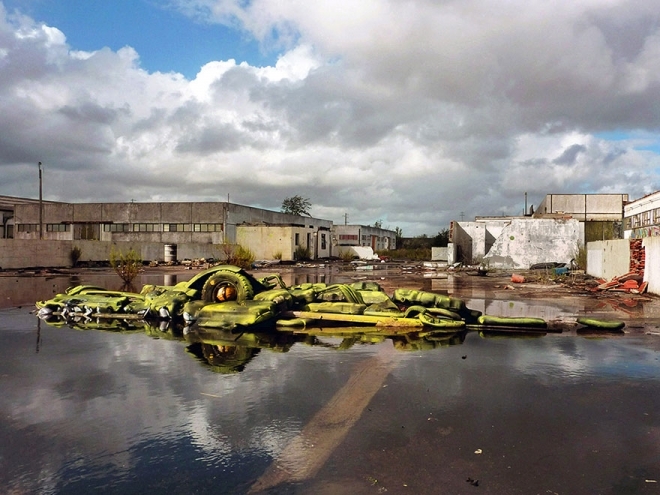 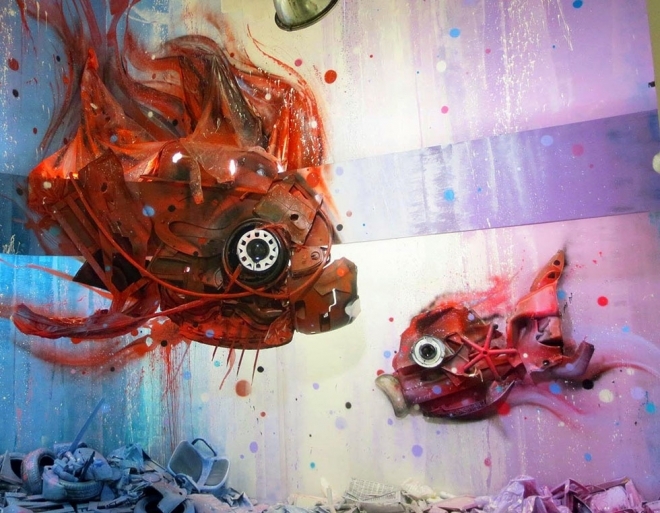 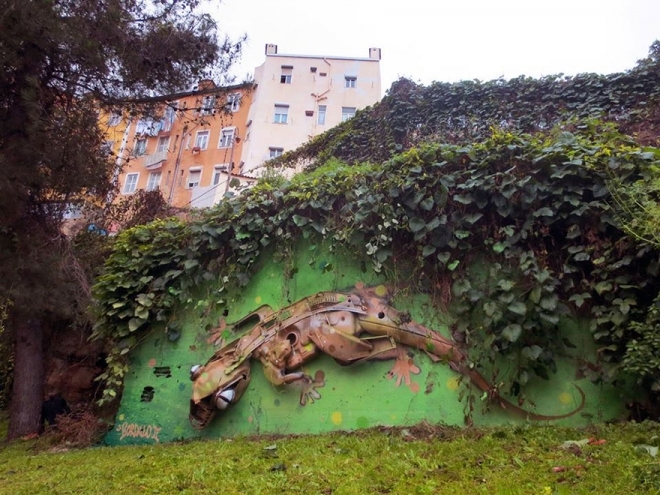 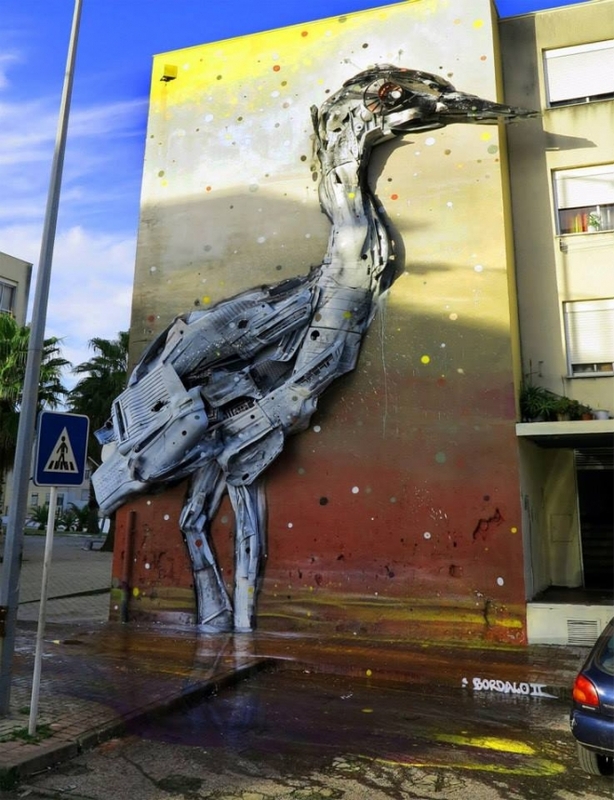 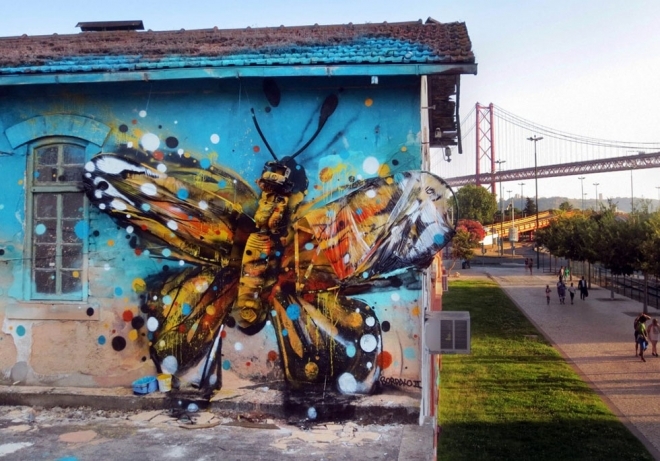 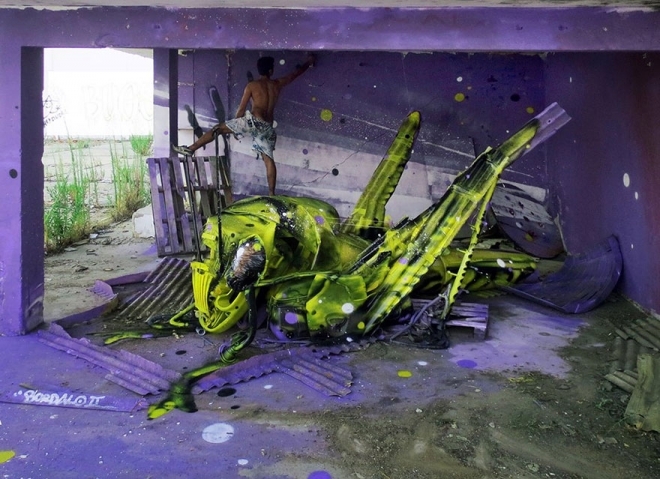 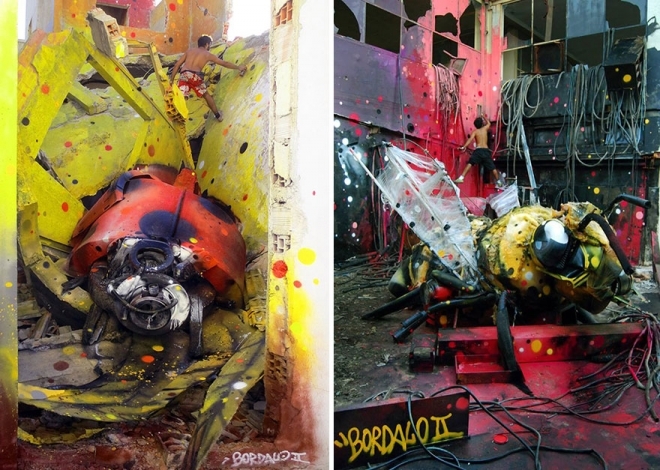 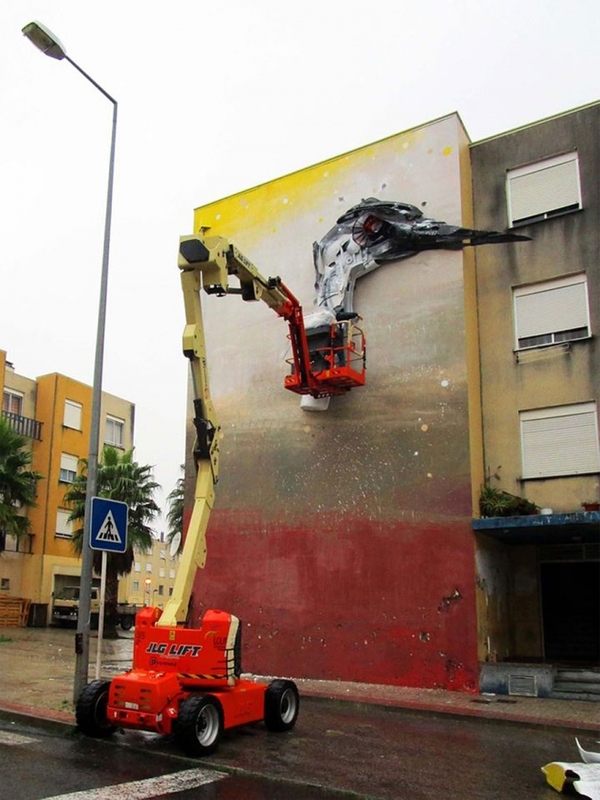 According to Bordalo's bio,"EN. 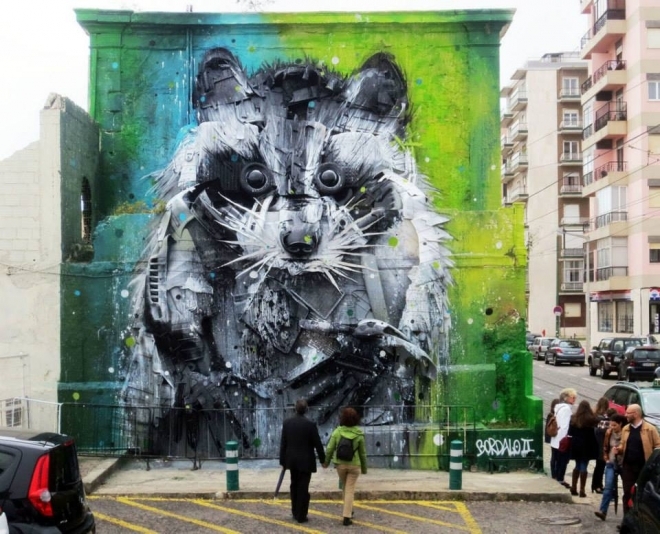 Bordalo II presents us a figurative painting full of vivacity and movement, where he paints his own interpretation of urban landscapes and city entertainment. 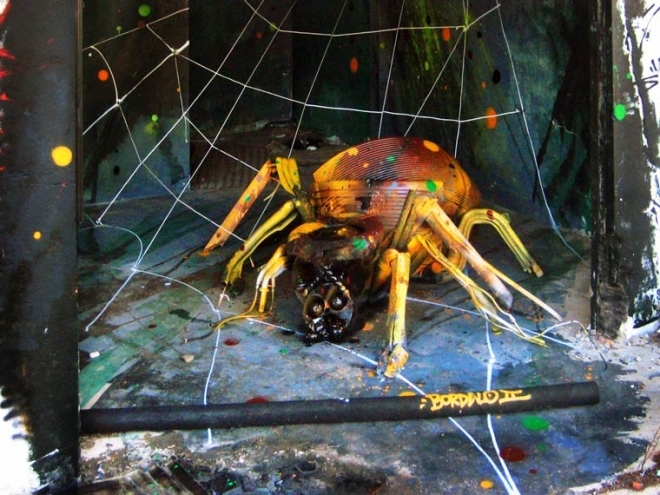 He's exploring his own mixed media on wood stand base, and are thus made a series of collages of objects (garbage). 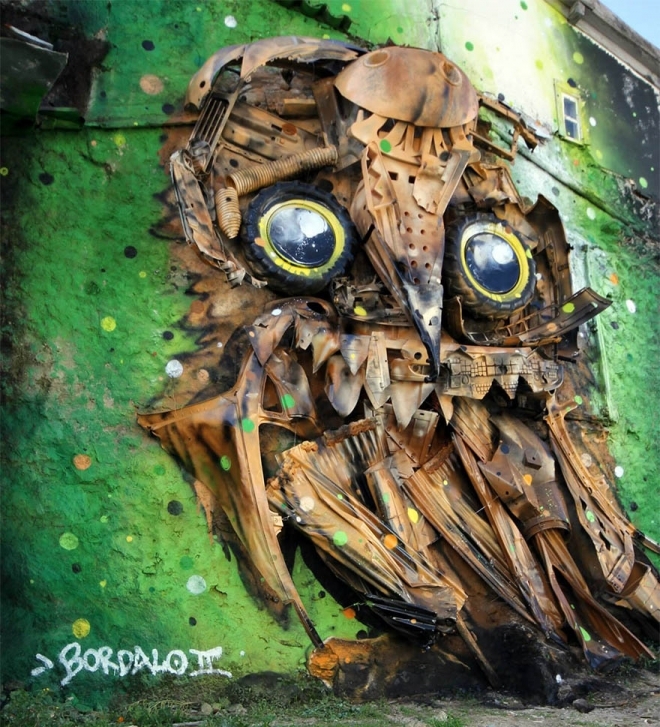 It is not only a way to recycle, but also a critique of the world we live in, where we often have nice things, which are based on junk without realizing it". 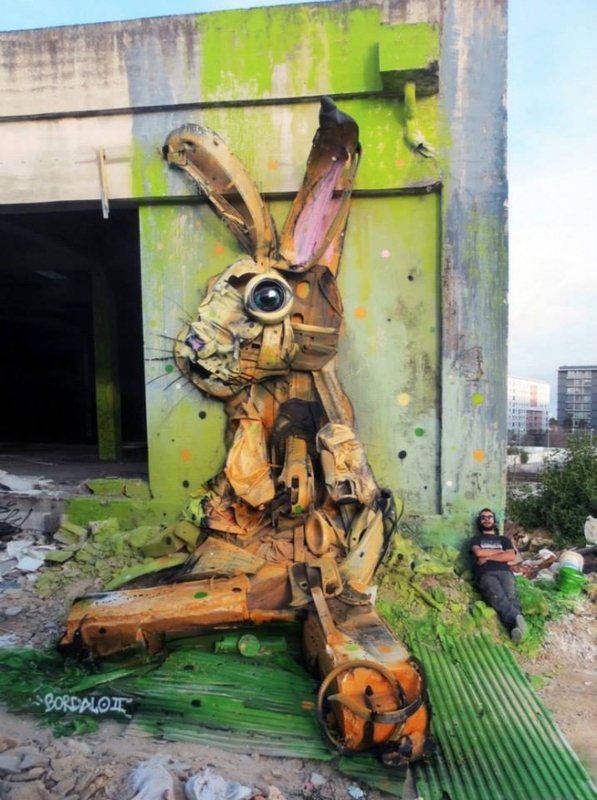 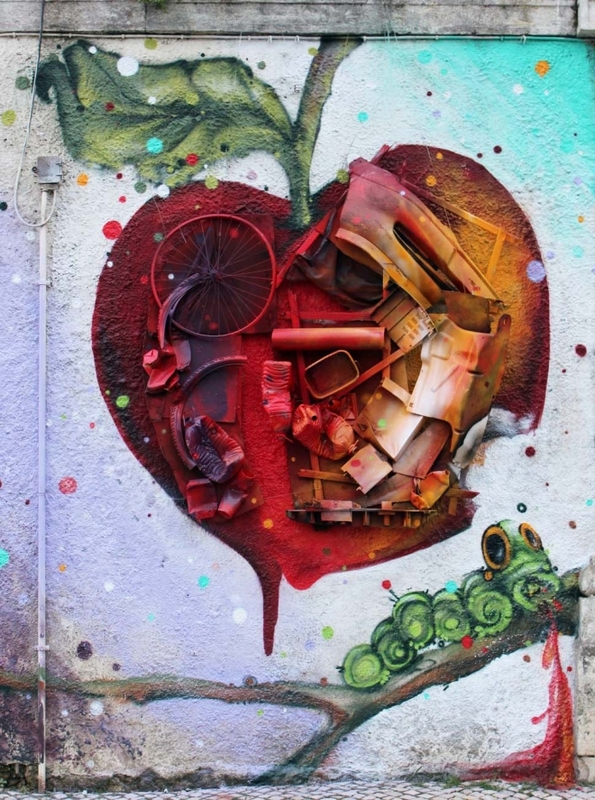 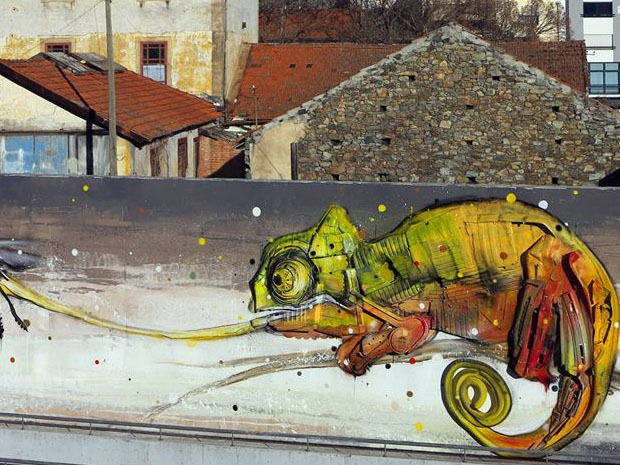 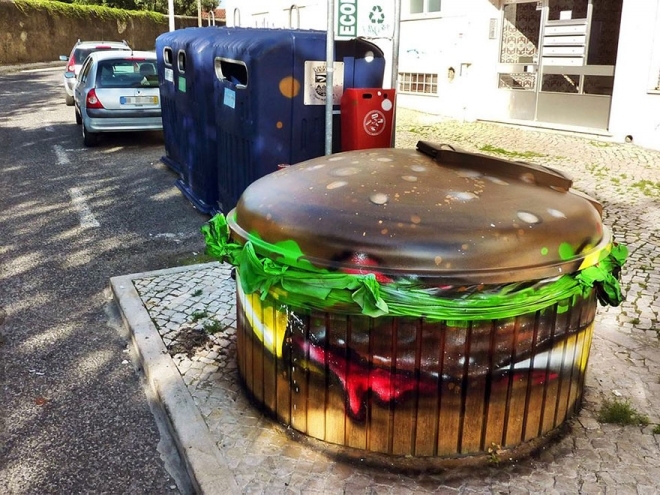 Lisobon Bordalo is a portugese street art painter who uses everyday objects found in the garbage like old cycles, tyres,metals and just about anything to create massive street art works on the roads and buildings in Portugal. 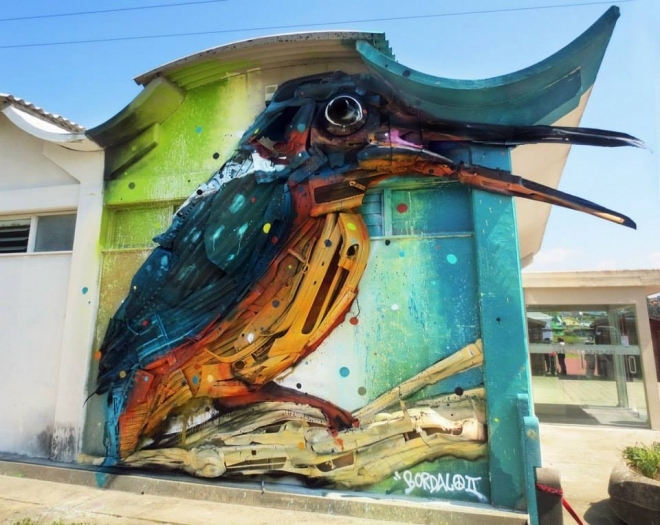 What's so impressive about his street art is that they look so realistic even if only garbage items are used to create the beautiful paintings.